There are no rooms available at An Grianan for these dates. I have stayed many times, Terri and Ed are lovely people who go out of their way to be helpful and accommodating. 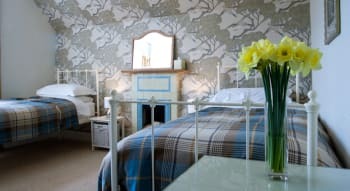 Their house is beautiful and the beds are a delight, crisp white cotton bed linen and cosy duvets. Breakfasts are tasty and offer a varied choice. I couldn't recommend Al Grianan enough as comfortable place to stay in Inverness. Fabulus stay in a wonderful B&B. Terri and Eddie were fantastic friendly hosts, they gave you all the necessary information on arrival and then were available for helpful advice about Inverness and the surrounding areas to ensure you had the best out of your stay. Terri is a local girl with a wealth of local information and is a one stop tourist information advisor! The area is very residential and quiet and our room was lovely, traditionally furnished, comfortable big bed, powerful shower and two chairs for a bit of relaxing after a hard days touring. Best of all we came back each day to a delicious slice of Terri's home baking, yummy! We met two other lovely couples at breakfast who were touring, one from Texas and the other Turkey and it was a pleasure to talk to them in the morninng at breakfast and added to the overall enjoyment of our stay. Thank you Terri and Eddie. Durign our stay we ate at three restaurants all good. Mustard seed armed with a voucher from Eddie for a free drink, Little Italy at the bottom of the hill which is a great wee priately owned italian restaurant and finally MacGregor's a traditionnal music bar/diner, great thing was the music started at 7pm much earlier than most places. We walked both sides of the river embankment wich is beautiful, visited the Cathedral and next day visited Doroch which is beautiful village with a lovely natural beach. Worked extremely well for our staff accompanying students on a weekend trip to the local Youth Hostel. Very comfortable and friendly stay. Would absolutely recommend this B&B. Pasamos unos hermosos dias.Me gusto muchisimo la casa , los dueños de casa nos recibieron muy cordialmente ,el desayuno fue muy bueno, la ciudad es preciosa, no tengo mas que elogiosas palabras para mi estadia en Inveres.Lo recomiendo muchisimo. Close to the centre of Inverness. Walking distance from the station (uphill but 5 min taxi ride) and river. Lots of choice for restaurants within walking distance. Fabulous find and one for us to return to again. Super hospitality and we appreciated the thoughtful touches in our rooms. Perfect end to our vacation! Very nice hosts, very kind and they help however they can. The food is amazing and the room was very clean and tidy. I would recommend this B&B to everyone who is staying in Inverness or would like to explore the surrounding areas. The B&B is 7min away by foot from the city center, so you can reach it pretty quickly but you don’t have to worry about noises at night, as it is not located directly in the city center. Definitely worth the stay! So friendly and informative! Beautiful home and quiet neighborhood, yet walking distance to everything. The whisky and sherry in the room was such a nice touch.Thank you for a wonderful stay! Extremely friendly hosts. Comfortable, clean and lovely decorated rooms. Very good breakfast. Town centre reachable by foot in a view minutes. Lovely b&b, incredibly friendly hosts, beautiful room and great breakfast. Can only recommend this b&b. Wonderful location with warm hosts, delicious breakfast, and comfortable beds. You cannot go wrong with this choice. Everything was OK: the location, the room, the staff. We had a lovely stay at An Grianan. It's located within walking distance of the city center, so you can leave your car and explore Inverness. Room was big and very clean. The breakfast was delicious and the hosts were really nice! Would definitely come again! Terrific guesthouse, warm hospitality, delicious food, especially your home baking. Our only comments are that your beds are quite soft, which our group of 3 people all agreed that we prefer harder beds. Just a suggestion. Otherwise thank you. Great location and wonderful hosts. The rooms were a nice size and comfortable. We also enjoyed the sweets which were left for us daily. We would definitely recommend to to others. Brilliant service and hospitality. One of the best B&Bs I have ever stayed in. We very much enjoyed our stay; thank you for your hospitality. The rooms were very comfortable, clean and quiet. Very clean, cosy B&B, we felt very good there! A nice touch was also the little selfmade sweets in the afternoon, this was so far our best stay! Home bakes on arrival is so lovely. You guys were lovely. Terri was so helpful with directing us on where to buy some stuff with our luggage being lost. Really made our day a lot easier. Very easily walkable to the town center. The decor is really nice. Our hosts were very kind and friendly. Charming, clean residence. Wonderful Breakfast. Nice location. Make sure yoga e reservations for local restaurants especially on the weekend. Owners were extraordinarily helpful and accommodating. Highly recommended! What a wonderful stay it was! We stayed over for a night while in Inverness and it was simply amazing. Lovely house, lovely people and a wonderful breakfast. I am definitely returning! Edwin needs a special mention as he was extremely helpful with local tips, resstaurants, etc. He is a wonderful host! Walking along the foot bridges and along the road by St. Andrews was beautiful. We sat there for couple hours watching the world go by before going for a meal at a nearby Mediterranean restaurant. Terri and Eddie are wonderful hosts. Their home is lovely and clean. The beds are very comfortable. Breakfast was absolutely delicious. They are friendly and gave us some great suggestions on places to visit. In particular they suggested Plockton, a beautiful village on the west coast that we visited and loved. We felt very welcome. Cosy bedroom and great breakfast. Thank you for the generous breakfast that was packed for us. Very nice stay, Ann and her guests are excellent hosts. They gave us all the facilities and allowed us to park a few more hours our car in their house. Our room was spacious and comfortable. It had many details that made us feel at home, for example, in the bathroom there was a hand cream to moisturize after washing them ... very good idea! If we go back to Inverness we will not hesitate to stay at home again. Great location only a 10 minute walk from downtown Inverness. The owner was very flexible by packing us a breakfast to go when we had to leave at 5:30 am one of the mornings. The room was large and comfortable. We would highly recommend this Inn! Check out the dolphins at Chanonry Point. A wonderful, stylish, peaceful ambiance! Better, you stay more than one night!! Great bed and breakfast! The beautiful house is located in a residential neighborhood a short walk to the center of town. The rooms are clean and comfortable and we were welcomed by the wonderful owners with tea and homemade sweets. The next morning we had a great breakfast while chatting with the owners and other guests. We recommend this place wholeheartedly. Very nice and comfortable B&B. Nice hot shower and tub with good water pressure. Nice sweet treats in the afternoon with a little sherry was a treat. Came in on the train and had no problem walking to dinner and around town. Dinner at the Fig and Thistle was outstanding! Need a reservation though. Good breakfast choices and very kind owners. Enjoyed our 3 night stay in room #1 very much! Terri and Edwin were fantastic hosts at this charming B & B. We stayed for two nights on our trip around England and Scotland, and this was one of the nicest places we stayed. It is a short walk into the main centre of Inverness, and Edwin and Terri's recommendations for places to eat and things to do were excellent. A lovely touch was the fresh homemade baking placed in our room each day. We would love to go back again! We particularly enjoyed the Inverness Museum and a walk along the river bank and through the islands on the River Ness (the Ness Island Walk). Only wished we could have stayed longer. Your hospitality exceeded our expectations. Couldn't ask for more gracious or friendly hosts. Thank you. Very nice neighborhood and quite area. Wonderful charming B&B a short walk from the center of Inverness. I appreciated the quiet charm of our room. The cakes and cocktails in our room was a lovely touch. We were grateful for the assistance with dining recommendations and taxi services. We loved our visit to the Culloden history site and would highly recommend this to everyone. We enjoyed walking the streets of central Inverness and exploring the charming shops. Great location within easy walking distance to the heart of Inverness. Very clean and comfortable accommodations. Mustard Seed evening menu is a great deal, and the An Grianan gives you free drink vouchers there as well. Worth a drive to Tain and Dornoch if Inverness is your base. Can't fault the accommodation and friendliness of the owner. We would definitely return if we revisited the area. Innverness town centre is a straightforward 15-20 minute gentle stroll from the An Grianan. Only spent one night in Inverness as we drove the North Coast 500, so only saw a small part of what the town had to offer. Seems a good place to visit with many historical attractions and great places to eat and drink. Very easy to locate, on street parking with permit provided. Room was nicely appointed. A fine hot breakfast was provided. We would happily stay here again!! Short walking distance to some good dining spots. 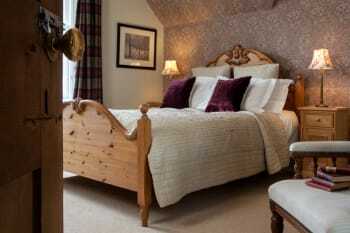 This is a wonderful B and B The rooms are lovely ...comfortable and very attractrive with quality furnishings. The winning feature, however, is the hostess, Terry, who couldn't be more welcoming. This is definitely a place I would love to return to. Excellent accommodation so relaxing after finishing the Great Glen Way walk. Touches that put An Grianan above the rest DVD,s in the room spacious rooms, cakes and whiskey not necessarily in that order!! No noise from other rooms or the local neighbourhood. Money off vouchers at local restaurants. Just do a little research on the location its not central and if not arriving by car can seem far out when in fact its a 5 minute walk from the castle when you know where your going. Yummy cake waiting in the room! Very friendly hosts. Lovely B&B! We were greeted by our friendly host with freshly baked tea bread. There is off street parking and it is a short walk to the city center. Breakfast was delicious. Highly recommend! Great hosts, super comfortable bed, seriously fantastic breakfast...list of great things go on and on and on :-) homemade cakes on arrival were an extra special bonus. Welcoming and friendly, very comfortable with lovely cakes each day. Great location for walking into town. Excellent breakfasts too . Rajah Indian and Zizi's Italian in city centre. So Coco for hot chocolate. We had a lovely two night stay in a beautiful homely bed & breakfast. Hospitality was wonderful and friendly hosts. Bed was lovely and comfy and we slept well. Location is a 10 minutes stroll into town, so great location to reach all the amenities. Highly recommended and would be our first choice. Must go to Urqhart Castle on Loch Ness - stunning. Loch Ness Inn is a great pub for lunch/dinner. Absolutely wonderful experience....even dried our washing! Fabulous hosts, awesome B&B, abundance of special touches. Terry and Ed are perfect innkeepers. Friendly, helpful and informative. Room was plush; well stocked with everything one needs. Short walk to shops and restaurants. Easy parking. Food was great. Our favorite accommodation by far in Scotland. Very welcoming and friendly. Wished we could have stayed longer. Enjoyed a very good meal at The Kitchen , and a lovely walk along the river Ness. top of the range B&B for a very reasonable price. Great B&B! i'll also do a Trip Advisor review. The Mustard Seed restaurant was excellent. Very warm welcome with home made cakes, lovely room and bathroom - very tasteful decor. Very good breakfast, loved the porridge and fruit salad. We didn't see much of Eddie but Terri was great company - we could have chatted for hours! Enjoyed Eden Court - great little cinema, showing new releases and art house films, where you can take your glass of wine in with you, good bar snacks, no pic'n'mix in sight! Beautiful property located within walking distance of the City. 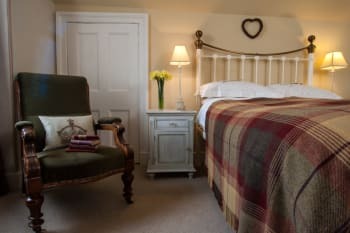 Warm and welcoming hosts with lovely rooms and hearty breakfasts. Highly recommended. We only spent a night at An Grianan, but enjoyed it thoroughly. We didn't have a chance to meet Terry, but Eddie was the absolute soul of friendliness and a very gracious host. We had a nice jaunt into downtown in the evening, slept well, and had a lovely breakfast. Perfect one night stay. Amazing location, charming traditional house. Appreciated fresh flowers in the bedroom. Tasty breakfast, delicious cupcakes for afternoon tea in our room. Both hosts were very friendly. Rather than crowded Urquhart castle, visit something much more interesting (e.g. Fort George). If you are heading to Edinburgh, visit Blair castle gardens - amazing big trees, stunning Hercules garden. 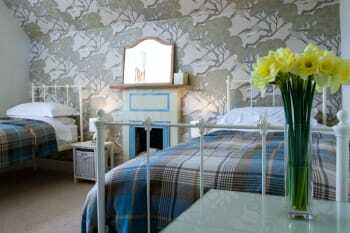 Excellent Bed and Breakfast, just a 10 minute walk from the town centre. We received a lovely welcome and the home baked cake went down very well. The room was a great size and very clean. Good shower. Breakfast was really delicious. Overall we would not hesitate in recommending this B&B. We can recommend the Riverside Restaurant.Great service and excellent meal. Great place to stay in Inverness, too bad we only had one night. Good location in quiet neighborhood, but within walking distance of the center. Very nice room and house, and great breakfast with fresh strawberries from the owners, and we even got a slice of homemade cake on arrival. They recommended us a very nice restaurant at Inverness, and gave us some tips for the rest of our trip to Skye, that turned out to be great places to visit.